These passages have always interested me because of the long list of women's clothing and adornments listed. I've often wondered what a "wimple" or a "caul" was and what the women Isaiah is referring to must have looked like. As I did a little research I found that scholars do not all agree as to the nature of these adornments. 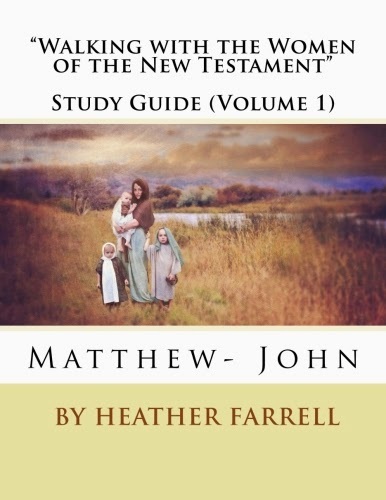 One of the problems is that the King James Version of the Bible was translated by 16th century men, who translated the Hebrew words into their modern day vernacular. For example, a caul, a wimple, and a bonnet were English names for what the men thought the clothing must have been similar to. 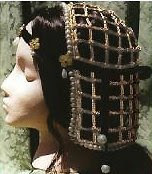 And in fact, very many of the Midevil headdress and clothing styles originated from the Middle East and so were in fact similar to what women must have worn during the time of Isaiah. I've made an attempt to put some pictures together of what some of these adornments may have looked like. Keep in mind I am DEFINITELY no scholar on this and am just making guesses, but at least it gave me a little better understanding of what Isaiah may have been talking about. This picture was taken by my husband at the Bedouin Museum in Amman, Jordan a few summers ago. We were walking through the gallery and he saw this and had to take a picture of it because he said, "Its the tinkling ornaments-- like in Isaiah." 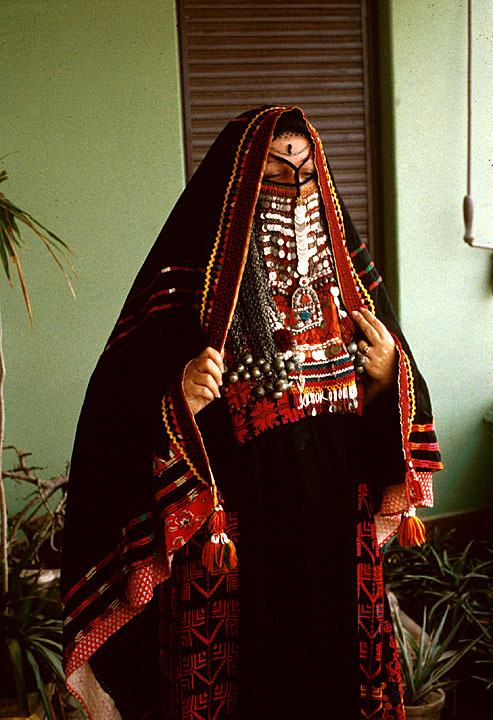 These were worn by ancient Bedouin women, whose customs and traditions are similar to those of the people living in Isaiah's time. Even today the Bedouin culture is thought to be the nearest living depiction of what life and dress must have been like in Old Testament times.
" ...and their cauls, and their round tires like the moon..."
made of elaborate ornamental lace and beads to cover the head and shoulders. One scholar I read said that women would have worn a caul when making a visit and on their arrival it would have been the hosts/hostesses duty to come forward and remove it (kind of like taking someones coat nowadays). The round tires like the moon may have been referring to crescent shaped headdresses or ornaments worn with veils. 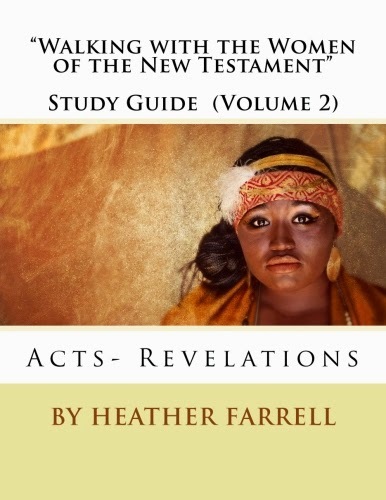 "...the chains, and the bracelets, and the mufflers, The bonnets, and the ornaments of the legs, and the headbands, and the tablets, and the earrings, The rings, and nose jewels..."
The footnotes in my bible say that mufflers refers to a veil in Hebrew. I'm not sure what type of veil this is referring to, a head veil or a face veil, but I thought I'd give some ideas of both types. You can see in these pictures how the women wear chains, bracelets, rings, and headbands too. Oh, and in Bedouin culture a woman's status in society is determined by the amount of jewelry she is wearing. I imagine that this would have been true of the women that Isaiah was prophesying about... well actually it is still pretty true in our modern age as well! 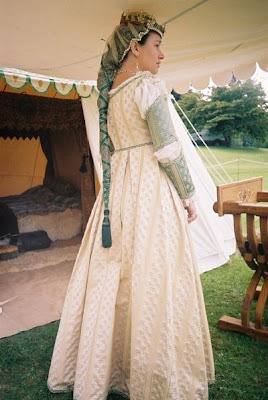 "...the mantles, and the wimples, and the crisping pins..."
A wimple in the 16th century referred to a long a cloth which covered the head, neck, and chin. Today some nuns, who wear the traditional dress, still wear wimples. As far as I could tell scholars can't agree on what a crisping pin was. Some think that it is referring to a small satchel used to keep money and valuables in. Others think that it is referring to crisping or curling ones hair. If that is the case a crisping pin may have looked something like this (the one on top is modern curling iron, the one below is a crisping pin). "... instead of a stomacher a girding of sackcloth..."
The word stomacher used by Isaiah may also be interpreted in Hebrew as a robe. I imagine many of the robes shown above would have been similar to what women wore back then. 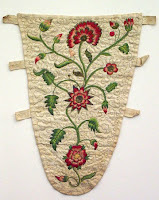 But just for fun, here is what a stomacher would have been to a 16th century monk. Why is modesty so important to the Lord? How does how you dress affect your spiritual development and idenity? Does it make a difference? 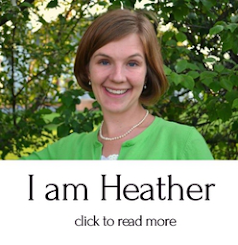 What does it mean to be modest? How do women you know manifest modesty? Is it all about how you dress? As I read this passage I couldn't help but feel that many of the problems of the daughters of Zion, like being haughty, walking with wanton eyes, and taking bravery in tinkling ornaments, were ones that could be applied to many of today's women. 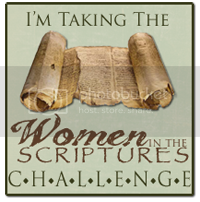 What things do modern women have in common with the women Isaiah is prophesying about? What things are different about them? 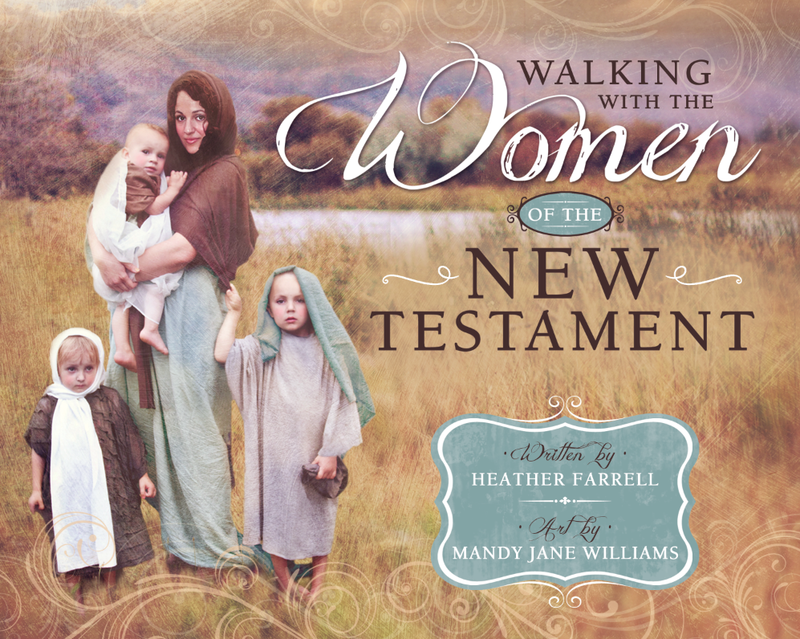 Why does the Lord specifically take away the fine dress of the unrighteous women mentioned in Isaiah as a way of condemning and punishing them? What great pictures and explanations of the clothing Isaiah was referring to. 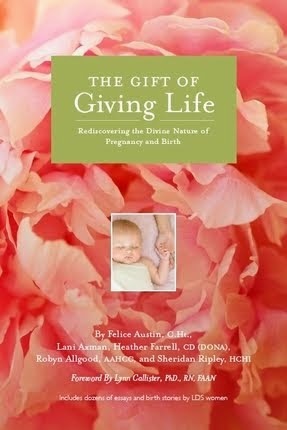 Thanks for allowing me to be the beneficiary of your intense research. Very, very interesting. Second Doghouse on your thanks for the research. I've always been intrigued by this chapter. As long as I've gone to priesthood meetings, men have been regularly and soundly chastised by leaders, local and general. 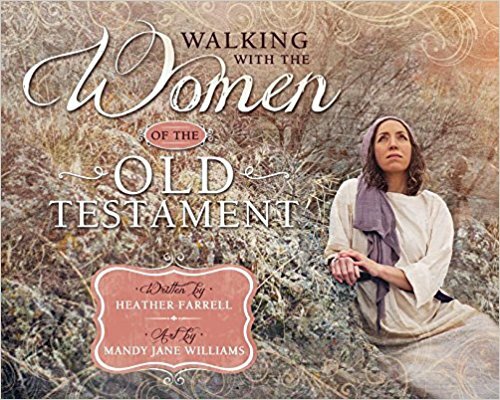 As far as I know, this is the only time that women, as a group, are chastised/warned by a prophet, either in the scriptures or in the time I have been alive. I enjoyed your article, my daughter was asking about this verse, this article and pictures are a nice collection. Thank you for all your hard work. If you still have the files, some of the pictures aren't loading anymore. I think that the Daughters of Zion also represents the church of God and it's members. I don't think this is just about prideful women. God is the father and we are the daughter. It symbolizes a parent child relationship. The Father has tender loving feelings for his wayward daughter. He will help her and continue to love her and looks forward to the time when she will be humbled and restored to the Father.